Visit Boulders Beach near Simon’s Town for a delightful close encounter with the local African Penguin colony. These little tuxedoed seabirds are an endangered species and Boulders is home to one of only two mainland colonies in South Africa. Cape Point, part of the Table Mountain National Park, is located at the tip of the Cape Peninsula, 60 kilometers southwest of Cape Town. It offers spectacular views, as well as an array of hiking trails and pristine beaches. 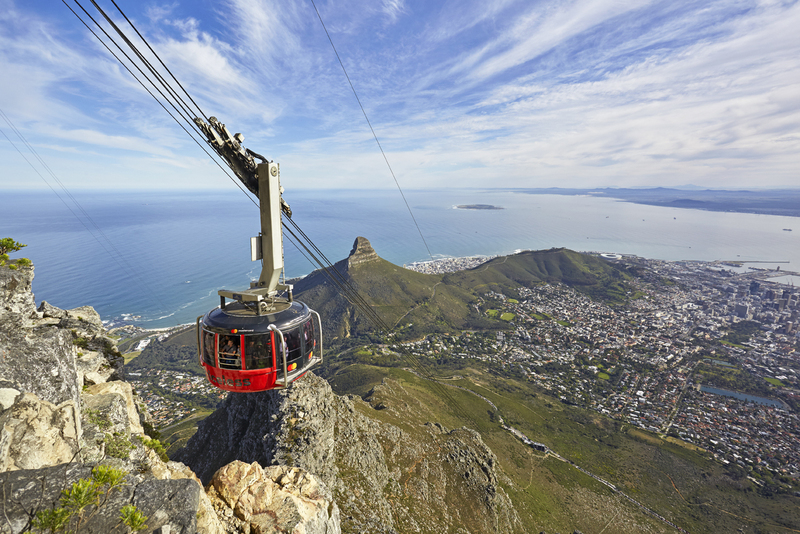 Being part of Table Mountain National Park, a UNESCO World Heritage site, Cape Point is home to a tapestry of endemic plants, buck, baboons and more than 250 species of bird. It is not just beautiful, but of great historic significance because of its rich maritime history. Bartolomeu Dias names it the Cape of Storms for a reason. The “Point”, beset by violent storms and dangerous rocks, claimed many lives with shipwrecks littered all along the rugged coastline. Visit their website for more information on opening times, rates and things to do. Visit Robben Island to catch a glimpse of the dismal circumstances under which Nelson Mandela and many of South Africa’s most prominent anti-Apartheid struggle heroes were incarcerated. Most tours are led by former prisoners, whose stories will bring both a tear to the eye and the occasional giggle. UNESCO designated Robben Island as a World Heritage Site in 1999. Visit the recently opened Zeitz Museum of Contemporary African Art(MOCAA) in the V&A Waterfront. The museum, located in an old grain silo, once the tallest building in Sub-Saharan Africa, is an architectural wonder designed by British Architect Thomas Heatherwick. It boasts more than one hundred galleries spread over nine floors, so be sure to give yourself enough time to get lost in this wonderland. Head out to the winelands—Stellenbosch, Franschhoek, Paarl and Somerset West—for wine farm hopping and all-day feasting. Better yet, stay over at one of the many working wine farms like Jordan Estate and wake up surrounded by vineyards or escape to one of the smaller wine regions like Elgin, Hermanus or Robertson for a few days of warm country hospitality, fine wine and delicious food. If you want to learn more about Cape Town’s tumultuous history of colonialism and slavery, a walking tour through the Bo-Kaap is an absolute must. This area is also famous for its colorful houses and restaurants serving local Cape Malay cuisine. Be sure to pop in at the legendary Atlas Trading Co.to stock up on everything spicy. If you want to hop from dinner to drinks to dancing, you can’t go wrong with a night out on Bree Street, without a doubt the coolest restaurant strip in Cape Town and a step up from its more famous, and slightly wilder cousin, Long Street. Bree Street is a must on First Thursdays when galleries and shops stay open late all over Cape Town. Woodstock and Observatory are both great neighborhoods to explore for anyone with a love for creative and colorful quirkiness. You will find expensive local designer shops alongside dirt cheap second-hand/vintage outlets. The neighborhoods also offer a diverse range of restaurants, coffee shops, bars and breweries. If you want to get a good overview of Cape Town’s population (human and canine) head on over to Sea Point promenade. This 11 kilometers paved walkway stretches from the V & A Waterfront to Bantry Bay and makes for an enjoyable morning or afternoon stroll. It’s a hugely popular spot for jogging, cycling, skateboarding and dog-walking, attracting all ages and sectors of society. Cape Town is home to the Cape Floral Kingdom, the smallest and most diverse floral areas in the world, declared a world heritage site by the UNESCO. Of the 9,600 species of plant life found here, around 70 percent occur nowhere else in the world.